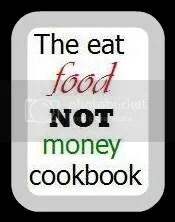 I decided the other day that I wanted to move this cookbook back to Blogger. The only reason I came to WordPress was because I could have multiple pages. I didn’t like having everything crammed onto my sidebar over there. It was too difficult to find the things you were looking for. Now Blogger has taken their Pages from Blogger In Draft and made them available to all Blogger users. Awesome Blogger! Way to go! Sorry WordPress. The only thing you let me do was have multiple pages. You didn’t let me have my pretty templates. You didn’t let me have my Google Friend Connect. You wouldn’t even let me put my button here without me having to trick you. See? Isn’t that pretty? 🙂 I like it so much better! I guess the only other thing I want to tell you here is that I’m leaving this site just the way it is and for two reasons. 1. I just can’t bear to delete something I created and 2. There is the Foodista contest that I worked so hard to link my recipes to….my recipes that have the URL from THIS site. I hope to see you at my new/old site. There is a page there at the top of the sidebar that says “Follow Me”. It would make me extremely happy if you did that. 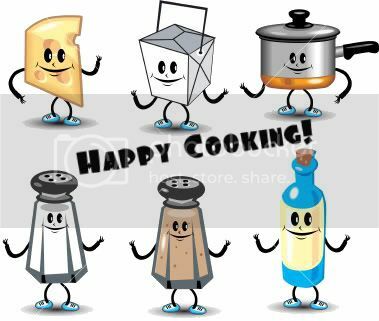 Have a great weekend everyone and as always, Happy Cooking! A super simple recipe that is surprisingly delicious. Remember to allow your egg white to come to room temperature before beating it. Beat egg white until stiff and tripled in volume. Mix together 1/3 of the beaten egg white and 1 cup of the parmesan cheese. Beat well. Alternate mixing in the remaining egg white and cheese until it is all mixed together. Drop marble sized balls off the end of a teaspoon and fry @ 365 degrees until lightly browned. Makes about 3 dozen cheese balls. I think these cookies are pretty. Preheat oven to 350 degrees. Combine flour, cocoa, baking soda and salt and set aside. Beat together butter, both sugars and vanilla until creamy. Add eggs, one at a time, beating well after each addition. Gradually mix in flour/cocoa mixture. The dough will be stiff. Stir in chips. Roll 1 Tbl dough into a ball and then flatten slightly. Place 1″ apart on an ungreased cookie sheet. Bake 9 – 11 minutes. Makes 5 dozen cookies.